Sounds about right to me. I am on the bandwagon now...we go undefeated the rest of the way and win the conference championship game and get invited to a good bowl. Reminder...don't bet on football games. But if you insist, wait until the last day and avoid the point spread. Check the weather and use it to make a pick (good = over, bad = under). That way you never have to worry about betting for or against "your" team. And my idea is to hope for good so you can bet the over. That way when it does go over you can kick back and enjoy a brew...or two, knowing your $ is forthcoming. If you were riding shotgun on the bandwagon, you'd have us winning the bowl too!! Go search and you will find that most sites say blackjack. Some however say Craps. Depends which one you want to rely on. We will win the bowl game as well...and I will be there. I was at the Army HC debacle at Gormley and have tried to put it out of my mind. I do also, but I also rely on more important than math. I know when to quit when I am ahead. Although I like to play, I don't "have to" play. And check your PM box. I'm gonna tell you a story you didn't/won't see in the papers. Let's just please avoid doing what we have done in the past when it was looking like things were getting very rosy. Mumble, grumble (Army at HC) cough, cough. Then why do different internet sites say craps on one hand and blackjack on the other hand when you search "what casino table game has the best odds?". They're wrong? Laying odds in craps is no edge to the house. I've all but blocked out Army in Gormley... But I keep thinking about the last two homecomings I attended in the Yulman era, one a blowout at the hands of Memphis ('14) and the other that disgusting display of ineptitude last November against a terrible Cincinnati team. 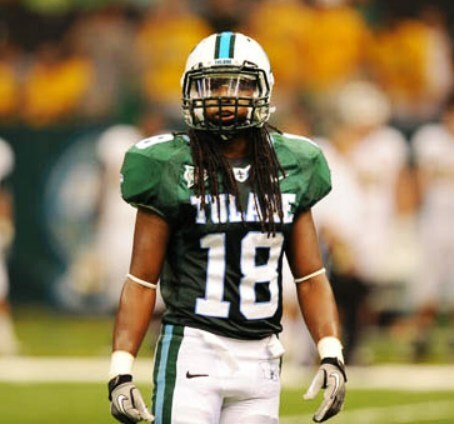 So from what I've been reading, Tulane Athletic Dept has kept HC ticket prices high - $50 each. Believe it's time for the AD to realize they have a good marketing moment and price tickets more attractively to bring in the casual New Orleans college football fan to this game. It's Homecoming and having a large crowd would be super in support of the team. The past two wins have warranted support from the community. Price it accordingly so they will show up. Don't shoot yourself in the foot -TD. Get folks in the stands. Roll Wave! Fill Yulman!! I saw there were a lot of seats still available as of yesterday. The high prices may keep younger alumni away. I saw there were a lot of seats still available as of yesterday. The high prices may keep decades of losing has kept younger alumni away. Free was too much for them too. Every significant pro and college program uses dynamic pricing. Games with more interest cost more than those with less. In Tulane's case, HC tickets cost more than NSU. I believe LSU may have charged 5x or so at face value for GA and Bama than what it charged for an early season OOC game. Whatever the exact spread it was noticeable. Tulane will draw more in actual numbers Saturday and make more in gross revenue because of the ticket price boost for the game. The program has some budget responsibilities to maximize its receipts. We can't expect the billionaire board members like Benson and Glazer to pay for everything so we plebs can enjoy Tulane sports for massive discounts in person. If you don't think the cost is worth it, don't go. I'll weigh in as someone who is a co-chair of a reunion committee this year. The diehards (i.e. those of us on this board, who have season tickets, regularly attend games, etc.) are going. $25, $50, $100. We're in. Unfortunately there is a very finite number of us - thanks to decades of losing. I and 15 friends from my reunion are going. I've had at least that many tell me they aren't coming because of the price. And I've heard similar stories from others. Homecoming is the one game that draws the casual fan. The fan who comes back to one game a year/just during their reunion years. It's also the one time the local causal fan comes out - look at the tailgate on Saturday and you will see a number of tents not there for the other 5 games. It's the one opportunity a year to catch the attention of the exact folks we need to start bringing back into our numbers. We all know we've lost a generation of fans from all the losing. The issue isn't that there are $50 seats. The issue is there is nothing cheaper than $50. I've had multiple reunion attendees tell me they will attend the tailgate, but not go to the game. Tickets for a family of 4 are $200 - before parking, concessions and merchandise. Like it or not, many non-diehards are priced out. If you don't believe me, wait until you see the stadium Saturday. The numbers I've hear are not promising. There's no reason the stadium shouldn't be full. Someone needs to do the math and I guarantee when you add up the extra tickets bought and lost revenue from parking, concessions and merchandise it does not make monetary sense. This does not count the impact a full stadium would have on the team, recruits at the game, in-game experience (as a fan I personally prefer being part of a full house) or the perception of the tv audience. When we raise the price of EVERY seat to $50, we lose the opportunity to introduce/re-introduce Tulane football (and for many Yulman Stadium) to the largest number of people every year. The casual fan isn't going to go. The people coming back to their reunion aren't going to go. Or at least in my case many of them committed to going and once they saw the price backed out. This isn't LSU raising the price on the Georgia game - where the stadium is basically sold out to season ticket holders and the Georgia fans are being gouged. East Carolina fans aren't facing the brunt of this price increase. It's returning Tulane alumni who come once/once every 5 years and casual local fans we are taxing. For a program in desperate need of growing it's fan base, to me at least, it seems short sighted. Houston has their homecoming this week for example. Ticket prices for their homecoming game is the same as all their other games - $40/$32/$25/$20. Yes this policy has been around for a few years. But any policy that does not encourage building our fan base numbers should be revisited immediately IMHO.